Dr Magill is a Senior Lecturer in Criminology within the School of Law and Social Sciences. Appointed in May 2015, Dr Magill was previously a Senior Lecturer in Criminology with the University of Brighton (2013 to 2015). Prior to taking up her post with the University of Brighton, Dr Magill was a researcher specialising in crime and criminal justice. She worked across sectors – academia, voluntary and then Government. She joined central Government (2004 to 2013) initially as a Senior Research Officer, and quickly progressed to Principal Research Officer, a senior, managerial grade within the Civil Service. In her time as a Government Social Researcher, Dr Magill conducted research for various departments, such as the Home Office/Ministry of Justice and the Crown Prosecution Service, on issues such as race, anti-Semitism, ‘honour’ crime and forced marriage, domestic violence, and offenders’ mental health. Dr Magill completed her Doctorate at University of Leicester. Her research explored imprisonment from the perspective of the family, with a focus on the impact on families in maintaining contact with relatives on remand or serving a custodial sentence. Dr Magill contributes to teaching across the undergraduate criminology (joint and single honours) courses in the School of Law and Social Sciences. She is Module Leader for the first year module, Deconstructing the Crime Problem, and the third year module, Gender, Crime and Justice. She also contributes to social research methods and penal theory and practice modules. Dr Magill is also currently the Course Director for the MSc in Criminology and Social Research Methods, and delivers teaching on the core modules that comprise this degree. 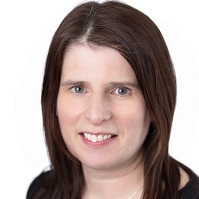 Dr Magill incorporates into her teaching practice experiences drawn from her extensive experience in conducting research in the field of crime and criminal justice. She draws on an extensive repertoire of ‘real life’ examples, case studies and anecdotes to explain concepts and illustrate issues (for example, the challenges that come with conducting research in the criminal justice arena; the inner workings of government; and how policy translates into practice in the criminal justice system). Dr Magill has over 12 years’ experience in conducting research in the field of crime and criminal justice. Her research interests include: the role of the criminal justice ‘system’ and the different institutions within it, particularly the prison system and prosecution; gender; violence against women and girls, including ‘honour’ crime; the impact of imprisonment on the families of prisoners; and criminal statistics. Dr Magill’s key concern in all her research is to make a positive contribution criminal justice policy and practice.